Even though Illinois drivers all have their various styles of driving and may seek out different specifics from a car, there are a few things that are pretty much universal wants. Some of the necessities include a user-friendly suite of technology features crafted to enhance the driving experience by enhancing comfort, convenience, entertainment, and safety. One vehicle that does the job extremely well is the 2018 Honda Fit and its suite of useful technology features. Honda Fit technology comes in many shapes and sizes; keep reading to find out more. Push-Button Start – Spend more time driving and less time searching through your bag for your keys with this keyless engine start system. Remote Fuel Filler Door Release – Never spend more time than absolutely necessary at the gas station with the assistance of this quick-opening remote fuel tank door release mechanism. Seating – The Fit ensures that passengers are able to stay comfortable with luxurious additions like heated and leather-trimmed front seats. Air Conditioning with Air-Filtration System – Keep the air in your car fresh, even when the windows are up, with some help from this air-conditioning system with built-in air filtration. Adaptive Cruise Control – By setting following speeds and adapting to the flow of traffic, this system is the perfect way to make long drives more relaxing. SMS Text Messaging – The Fit is equipped with Bluetooth and voice-recognition technology that allows passengers to receive, read, and send text messages without looking away from the road. 7-Inch Display Audio – Access the apps, music, and people you need easily on the Fit’s large high-resolution WGVA electrostatic touchscreen with customizable feature settings. Satellite-Linked Navigation System – Always be on time with built-in features like voice recognition, Honda HD Digital Traffic, and HD digital radio. Apple CarPlayand Android Auto – Stay connected to your iPhone or Android device and remotely access and control phone apps, music, and more. 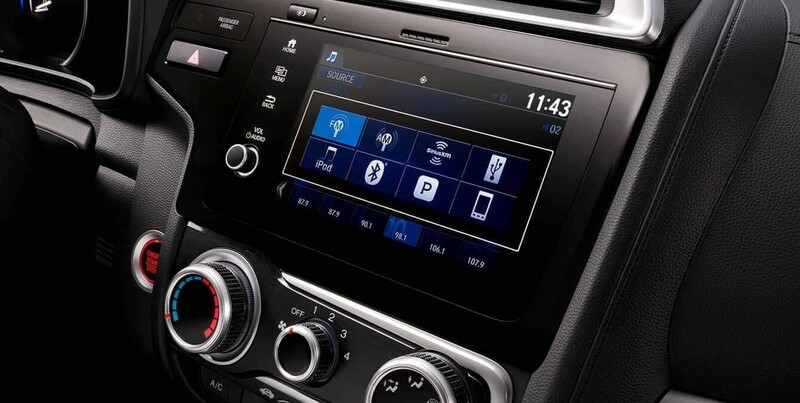 SiriusXM Radio – Only listen to the music you want to hear with control over your listening preferences. Honda LaneWatch – Switching lanes is much easier now with the Honda LaneWatch system—a system capable of displaying the lane next to you on your display touchscreen, allowing you to make informed lane changes. Tire Pressure Monitoring System – Stay on top of automotive maintenance with the TPMS, which is equipped to keep you informed when your tires start to reach unsafe pressure levels. Multi-Angle Rearview Camera – This camera allows drivers to take control over their safety by giving them three different angles from which to view the vehicle’s rear end. Collision Mitigation Braking System – Strategically placed sensors around the vehicle help to determine if the vehicle is too close to the one in front of it, and applying the brakes if necessary to minimize the damage of an impending collision. Technology is amazing and continually shows how it is able to be useful in various ways. A clear example of this at work is within the walls of the 2018 Honda Fit; however, there’s more to this compact car than that. 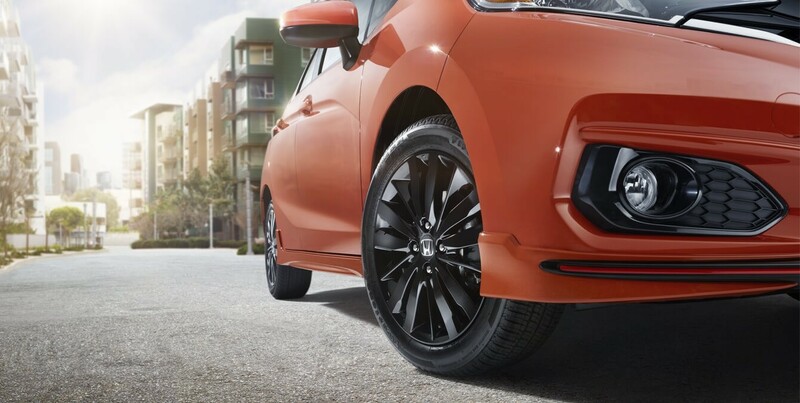 Take the Fit for a spin today at your local Central Illinois Honda Dealers location, or contact us online to learn more about scheduling a test drive, current offers, or financing. We can’t wait to assist you!